Choose a number. Then reroll one of your vehicle dice. 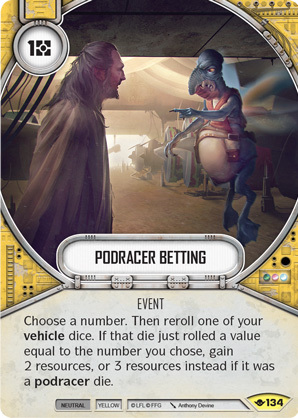 If that die just rolled a value equal to the number you chose, gain 2 resources, or 3 resources instead if it was a podracer die. Way of the Force #134.